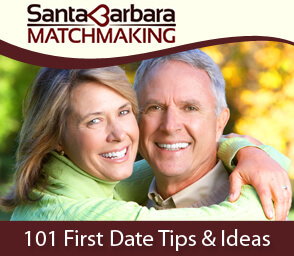 I was recently asked by the Santa Barbara News Press for my expert opinion on what to do when you think you may be part of an online dating scam. The article was featured on the front page of the Life section of Wednesday’s paper and has some very important and helpful information you should read if you or someone you know is a member of any online dating community. Click here to see the the full article and let me know what you think. Do you have any advice to share if you’ve been involved in any suspicious online dating behavior? Wow what a great article! I worry about the ways that new technology like dating websites can be used for harm and I’m very glad to see that you’re educating people about these dangers and how to avoid them. Thank you. Thanks Patricia. Yes, it is scary how the numbers of online dating scams keep climbing but I’ll do my best to educate those around me. Dating online can be fun and successful, I don’t want anyone to ruin their experience by being too vulnerable. Yikes! Scams are everywhere these days… Glad you’re spreading awareness about online dating scams. Once the heart gets involved, it’s easier for the head to check out. Good info! Gosh, this article is scary. I really appreciate that you’re sharing articles like this though. It’s definitely important to get the word out so that people can protect themselves. Good work.